Recently I had the chance to spend a few weeks working on a local marina WiFi system. With my background in networking, and having deployed several large scale systems professionally, I knew that I was in for a difficult time to get things working as well as expected. But the configuration of their network was not the only problem. The bigger issue was the perception of the boaters throughout the marina, and the need to invest in equipment to improve the signal within their boats. In this particular case, the vendor who had sold the marina the WiFi system did not include on-site installation. This left marina staff installing wireless access points, switches, gateways, and all of the other technical bits on their own. Phone support was provided, but the system was completely broken when I arrived. This meant that the system was not fully configured, and in fact, it had some major design flaws. After several days of reverse engineering and sleuthing, I was able to get most of their system stable and running, and light years better than before. Marinas are great open spaces for boats, but for WiFi signals, they are not so hospitable. You have tons of metal and fiberglass, along with moving targets due to the tides and water. On top of that, there’s usually other commercial signals bouncing around near marinas, not to mention the on-boat stuff like radars, local WiFi routers, and the like. The wide open spaces are also a curse of sorts – to cover and blanket that much space in WiFi signals requires a ton of access points, which are the devices you see hanging around with wild antennas on them. They usually house anywhere from 4-16 radios that broadcast the WiFi signals for your use. Marinas are also usually huge spaces – much larger than many corporate campuses, and closer to the size of a hotel conference space or stadium. To blanket that much space, you would need a huge quantity of access points very carefully tuned, and constantly updated based on the various environmental conditions that change. It is shocking to me how boat owners expect to connect to a marina WiFi network without any equipment and have the same experience they have at home. Where I live in a condo/apartment complex, I can see over 150 WiFi networks, and I have to have repeaters and extra access points to boost the signal within my tiny 800 square foot space. 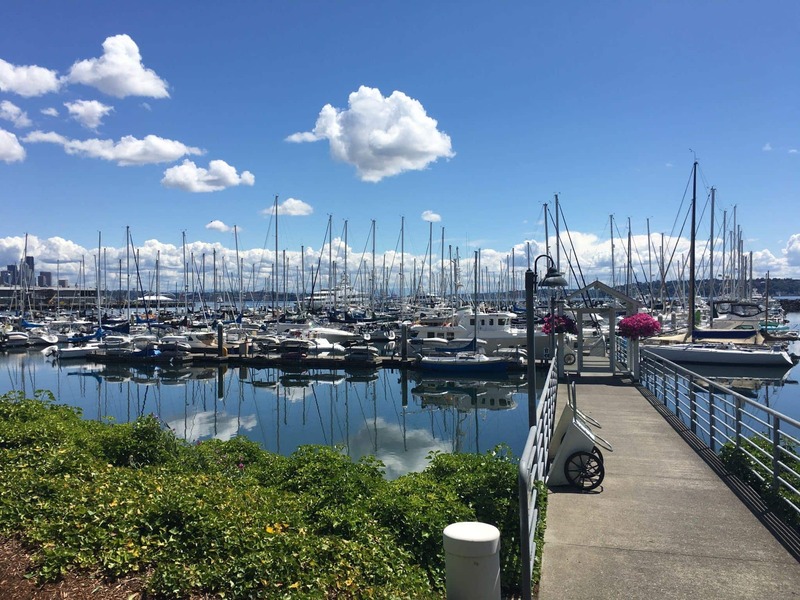 A marina is like a collection of small houses (boats) which all need the same type of technology if you expect high performance, streaming, and multiple device access. Some would argue that at their workplace, such as a corporate campus like where I work, they have no issues using WiFi. Keep in mind that corporate WiFi is tuned to support a very narrow type of hardware – that which your company issues. They also have the ability to completely saturate a building with WiFi signals because of easy ability to install more access points – something marinas can’t usually do. Hotels do a decent job of this, although they have the same small space problem in guest rooms that boats present, and many times while I’ve traveled, I’ve had problems with performance in a particular room. Any way you cut it, you need your own repeater, extender, booster, or otherwise on your boat, period. If you want your TV to talk to your phone, and your PC to be able to control both, you also must have an onboard router and local WiFi network – connecting to public (or private) marina networks will almost never work because of security settings and signal strength. Assume 500 boats have 2 kids and 2 adults on board. That’s 2000 devices – mom and dad have phones, kids have tablets. And that’s being conservative. Mom and dad are checking work email, reading Facebook, all fairly low bandwidth activities, but very noticeable if they are not responding. Mom complains very quickly if she can’t see the latest Twitter updates. The kids are the bandwidth hogs – let’s assume one is watching Netflix and the other is SnapChatting. That doesn’t count the TV that was left on downstairs using Hulu and updating every so often, nor the three PCs that are silently downloading Windows Updates. Just one family alone could be consuming upwards of 4Mbps of bandwidth, which if you multiply by our 500 boats, is over 2Gbps. Your average home internet connection is a fraction of that, and no marina I’ve ever talked to has had that bandwidth. The upstream connection is definitely a limiting factor, but the sheer amount of radio power required, in all areas of the marina, is the real culprit. Request for Proposal – Make sure you do a request for proposal (RFP) for your WiFi design. Get at least three firms to propose how they’d install it, and make them come out and survey the site in person. Design a Dense, Manageable System – Ensure they saturate the space with both 2.4Ghz and 5Ghz radios. Consider meshed products from UniFi and other vendors which allow you to add small, low power access points to dead spots, and have it “self heal”. You don’t need complex repeaters or other systems. Make sure you get a system that is centrally controlled so it can smartly manage the clients that are connecting, which will dramatically improve your end users experience. Survey – Make sure that they do a survey before and after, label everything everywhere, secure wires and equipment in remote areas that employees might have access to, and document everything. A local employee should be trained in how to monitor things on the basic level to ensure the system is operating normally. Pay for installation – this is a no brainer – none of your staff is likely versed in installing the correct cabling, let alone configuring the access points, gateway, security settings, monitoring, and a host of other things. Yes, it will cost almost as much as the hardware, but it is well worth it. Pay for maintenance – this stuff breaks – how often do you reset your router at home? Get a new one from Comcast/CenturyLink/other horrible provider? Yours isn’t sitting out on a pole with seagulls crapping on it either. Having someone do a once over every 3-6 months to make sure things are working is essential. Get a MikroTik, Rogue Wave, WirieAP or other booster/extender. I personally use a MikroTik as I’m tired of paying $200-300 more for the same thing in a restrictive UI/web interface. MikroTik also comes in a dual band flavor (5Ghz/2.4Ghz) which is critical in today’s crowded 2.4Ghz world, and gives you the flexibility to swap back and forth between both bands. I personally use a MikroTik Groove A 52 ac which supports 2.4/5Ghz, as well as the AC band, a higher bandwidth technology. 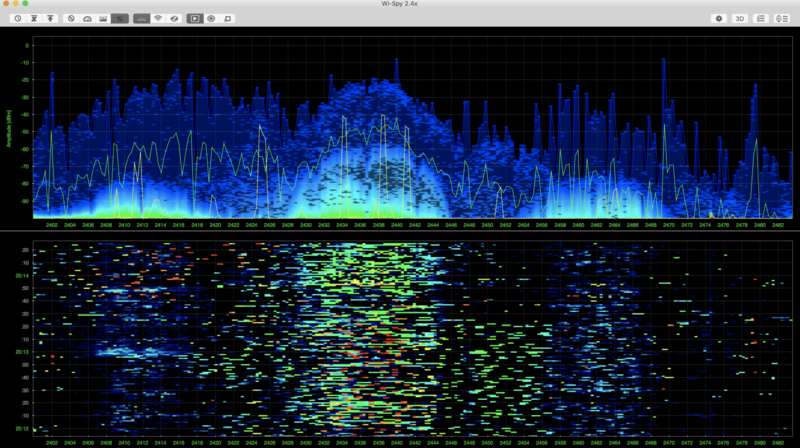 2.4Ghz is great for long distance connections, but modern WiFi access points have had a much faster, shorter range radios in them for years. These operate on the 5Ghz spectrum, and have a ton more channels available. Not only that, they can operate with bonded channels and other fancy things that give better overall throughput. In a recent install, I helped a friend switch from 2.4Ghz to 5Ghz and saw ping times to the local router (the one at the marina, next hop!) go from 100-300ms down to 1-3ms. That means Facebook, websites, and other things load almost instantly now, and from the user experience side, it makes a huge difference. Use a local access point/router on your boat. I use Pepwave’s Max Transit, which is admittedly a bit overkill for most boats, but I prefer their hardware design and software configuration. Regardless of what you use, you need to have your booster plugged into the WAN or otherwise port on a local WiFi router that is on your boat. That is the system that your TV, PC, phones, tablets, MFDs and everything else should connect to. It stays the same no matter where you travel. The booster is responsible for pulling the signal in from the marina and passing it off to the router. When you install your MikroTik or otherwise, make sure you put it outside or somewhere where the antenna has the least interference. Fiberglass is actually not that bad to put things behind, but make sure there’s no other items in the way. Many of the MikroTik and Ubiquiti Bullet products are susceptible to weather situations, and will deteriorate if not sheltered even a bit. While this has been a big point some folks have brought up in the past, I always ask: would you rather buy a $70 MikroTik every 2 years, or spend $500 on one of the custom setups of the same hardware? Oh and in 2 years, 2.4/5Ghz WiFi networks will be all different, so that $500 setup won’t likely work the best. Large scale marina WiFi is hard. Many marinas don’t or can’t do it right because of budget or lack of technical support. They should pay for it to be designed and maintained correctly, and recommend ways for their visitors and members to access it through boosters and the like. Boaters need to expect to spend money on a router and potentially a booster to make their experience similar to what they have at home. Using SmartThings to control heaters and monitor temperatures on your boat is a great way to ensure things are safe during the winter.